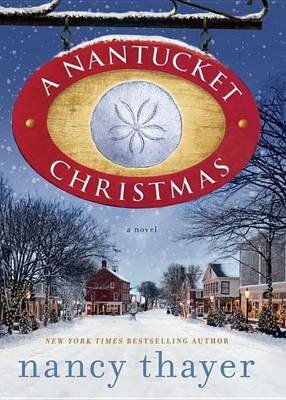 Known for her heartwarming observations of family life, "New York Times" bestselling author Nancy Thayer showcases her beloved Nantucket's snowy off-season in this emotionally gratifying and utterly entertaining story. But the warm, festive mood is soon tempered by Nicole's chilly stepdaughter, Kennedy, who arrives without a hint of holiday spirit. Determined to keep her stepmother at arm's length--or, better yet, out of the picture altogether--Kennedy schemes to sabotage Nicole's holiday preparations. Nicole, however, is not about to let anyone or anything tarnish her first Christmas with her new husband. "Thayer's Christmas story is as sweet and warm as a fresh-baked cookie. . . . heart-twisting moments and a yuletide miracle will get readers in the holiday mood." --"RT Book Reviews"
"Thayer gives readers of women's fiction another enjoyable foray to Nantucket." --"Library Journal"
"A charming and fun summer read . . . Readers will love this story of family and love."" --The Plain Dealer"
"Nancy Thayer is the queen of beach books. . . . All these characters] are involved in life-changing choices, with all the heart-wrenching decisions such moments demand."" --The Star-Ledger"
"An entertaining and lively read that is perfect for summer reading indulgence." --Wichita Falls" Times Record News"